Offers a single property & liability policy that protects against the financial and personal risks confronting organizations with operations outside of U.S. These are only a few of RLI's 140 or more home business scenarios. Home business owners may not realize that their homeowners or renters policy will most likely exclude coverage for business exposures on premises. Your customers need business coverage if they sell a product or service. Generally coverage options on the homeowners policy are inadequate. Ask your customers about any home-based businesses and then review their current policy. The RLI Home Business Insurance Policy has provided affordable coverage tailored for home-based businesses for over 20 years, and can provide your customers peace of mind. Don't miss out on the opportunity to protect your customers, increase retention, and grow your book. Quoting and submitting business is faster and easier than ever with RLI's new and improved submission process. For more information, quoting instructions, or to contact your state's administrator, visit www.iiaba.net/homebusiness. A comprehensive interview with Big "I" Chairman Spencer Houldin appeared in yesterday's Insurance Journal. In the article As Agents' Needs Change and Startups Emerge, Big 'I' Looks to Remain Relevant, Houldin discussed the future of the industry and the role of your Big "I" association in serving the agents of the future. "We do have markets. We have Big 'I' Markets, which is a Big 'I' initiative, where we have contracted with insurance companies that a smaller agency may not have the volume to be able to get an appointment on their own. But they can access many markets through Big 'I' Markets. Using the power of 22,000 independent agencies that are members, we're able to bring market access to those younger and startup agencies." Read the full interview and accompanying video clips here, and be sure to follow the Big "I" on Facebook to keep abreast of association news and trends. There are over 2 million horse owners and 575,000 horse farms located in the United States. Be it racing, polo, hunt seat, dressage or just pleasure, a significant number of affluent individuals and families have a passion for horses. Horse ownership comes with unique risks and owners may lack the proper protection under their personal insurance programs. As an agent or advisor catering to affluent clientele, it's important to understand the passion, inherent exposures and special insurance needs associated with horse ownership. Many high-value homeowners own horses, boarded either on their own property or at nearby facilities. For your clients that own horses, AIG understands the unique needs associated with horse ownership and has experienced risk management specialists to assist in lessening risk and getting the proper coverage. Coverage for equine is not excluded from the home or excess policy with AIG unless it would exceed the definition under incidental farming. Every carrier is different and some may exclude coverage. When an insured is in that situation involving their own personal horses, an Equine Liability Insurance Endorsement may be offered. Join us on Tuesday, July 11th from 2:00 - 3:00pm EDT for a free webinar on AIG Equine Owners Risk Management. The presenter is Susan Weber, CPCU - AIG AVP, Capital Regional Underwriting Manager, Equine Specialist. AIG's Private Client Program and is available to registered members in all states. Gallop over to Big "I" Markets and click on Affluent Program - New Business to learn more! NEW - Tuesday, July 11 @ 2:00 - 3:00pm EDT. 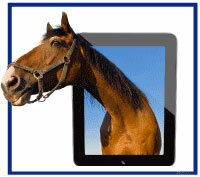 "AIG - Equine Owners Risk Management Webinar". There are over 2 million horse owners and 575,000 horse farms located in the United States. Be it racing, polo, hunt seat, dressage or just pleasure, a significant number of affluent individuals and families have a passion for horses. Horse ownership comes with unique risks and owners may lack the proper protection under their personal insurance programs. As an agent or advisor catering to affluent clientele, it's important to understand the passion, inherent exposures and special insurance needs associated with horse ownership. Presenter is Susan Weber, CPCU - AIG AVP, Capital Regional Underwriting Manager, Equine Specialist. What is the purpose of contractual risk transfer? What is given to the Additional Insured? Is the Primary and Noncontributory required necessary, ethical, or even legal? The reality of the primary and noncontributory requirement. Click here to register. Cost: $69 - includes live link, access to recording and a written transcript. Farewell to a Colleague and a Nod to "=Mod"
I missed writing my Student of the Industry Parting Shot last week as I was recovering from the news that my best friend and colleague, Dave Evans, was stepping down from his position at IIABA. Dave is pursuing a consulting opportunity aimed at "improving the 401k plans of the world" starting in August (my summary not his). He's also cutting back his travel and will be nearer his family more. Yes, Dave Evans, "keeper of all miscellaneous knowledge," founder of our retirement program offerings at Big I Advantage®, Publisher of IA magazine and many things outside Big I Advantage at IIABA, is moving on! Accolades to Dave on the bold move. Tears, of course for me… I feel like the yang just fell off my Kung Fu shirt. So what's the answer? 61. Those five numbers all "guz-in-tah" 61 with one leftover. I got it by using the Excel formula "=Mod(number, divisor)" and I just checked when computation each equals "1." I did the calculation in a row for each of 2, 3, 4, 5, and 6 and then did a check for when all remainders all equal "1." Spreadsheet is below. You may see "=Mod" used in formulas in neat ways by Excel aficionados but like the use of the two formulas Indirect() and Address() combined together, that subject is worth its own student column on another day! Congratulations to our agent in New York on an Event Liability sale of $1,419 in premium!